LoveROMs and LoveRETRO have been taken down. 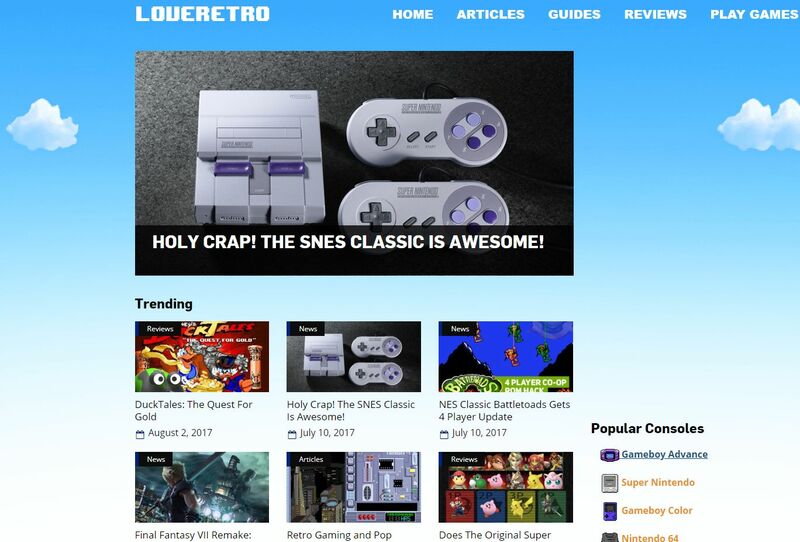 ROM-hosting websites LoveROMs and LoveRETRO and their founder Jacob Mathias of Mathias Designs is being sued by Nintendo of America in the District of Arizona for infringing on Nintendo's copyright and trademarks. If found guilty Mathias could face up to $US 150,000 for each Nintendo copyright infringement and up to $2 million for the infringement of each Nintendo trademark. Both LoveROMs.com and LoveRETRO.co are currently offline with both sites redirecting users to a web page informing that the sites have been shut down. This is because Nintendo of America has filed a lawsuit against the owner of both sites for infringing on Nintendo copyright and trademarks (TorrentFreak has a pdf of the full lawsuit). The 27-page filing is quite damning. "Defendants uploaded and continue to upload and maintain the unauthorized copies of Nintendo video games that they make available to users on those websites," Nintendo of America allege. "As a direct result of Defendants' infringement of Plaintiffs' copyrights and trademarks, Defendants' website have become enormously popular. The LoveROMs website alone receives 17 million visitors each month." Nintendo of America adds, "Such visitors are drawn to the website by the widespread availability of free, unauthorized copies of Nintendo's video games and other highly valuable intellectual property." Nintendo says Mathias is fully aware of Nintendo's popularity and copyrights and trademarks and submitted a capture of the LoveROMs front page which featured Mario-inspired backgrounds and icons. Nintendo is seeking up to $150,00 for the infringement of each Nintendo copyright and up to $2 million for the infringement of each Nintendo trademark. Nintendo is also asking for the handover of the site and its infringed assets, as well as other compensations. Considering that all 100 of the top games downloaded from LoveROMs is a Nintendo game, this is already messy. Nintendo's case against LoveRETRO is a strong reminder that emulation is a tricky subject, but copyright and trademarks are also vigorously protected by video game companies like Nintendo. Especially considering that Nintendo offers its own emulation hardware like the SNES and NES Classics which play the kinds of games LoveROMs offered for free. Tagged with emulation,	Legal,	News,	Nintendo.